It’s not that I think I’m such an amazing teacher. I hope I’m a good teacher. 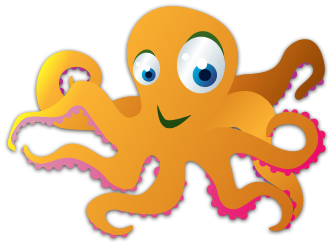 I work hard at it and I’m deeply invested in it, but wishing I was an octopus is not about tooting my own horn…it’s about wishing I had more hands and arms to reach more kids. For those who are new to my blog, I am a GT (gifted and talented) teacher at an urban Title I school in Denver Public Schools. We are a TNLI school (Transitional Native Language Instruction), which means that for every grade level, we have one class that is taught entirely in Spanish. I have been at my school for several years now and I love it, and more and more students are clamoring to get into my GT classes. I am one person. I work part time. I work with K-5. In fact, this year, with my 4th graders, I have a full group to service but also a number of “one data point kids:” kids who are more advanced in one area of learning. It’s not enough to qualify to work with me, but still enough to warrant additional attention and services. But since I’m not an octopus, I am instead trying to leverage the power of ScootPad. I can’t work with all these kids directly, but I can supply impact virtually. I can put the additional students in my portal and keep them not only advancing, but also feeling like they are part of the group via the bells and whistles on ScootPad. It’s one of the best solutions I’ve found! How do you deal with your need to be an octopus?